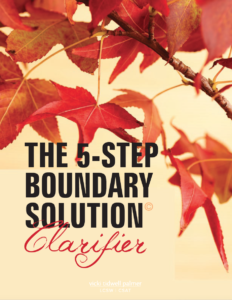 Step 4 of the 7-step Taming Triggers Solution process — Identify Familiar Themes — helps you understand why some triggers are more intense or have more power over you than you think they should or that you would expect. If you’ve completed Step 2 of the Taming Triggers Solution process — Rate your Triggers — you may have noticed that in some cases, the rating of your trigger was higher than you might expect it to be based on that particular trigger. For example, let’s say that one of your triggers is when your partner is occasionally, but not chronically, forgetful . Being forgetful is human, and everyone is forgetful from time to time. You rated this trigger as a 9 out of 10 (10 being the most intense). Before rating your triggers you may have never wondered why your partner’s forgetfulness is so triggering, or activating, for you. In cases like these it’s helpful to ask whether the current situation — your partner’s forgetfulness — feels familiar to you in any way. Maybe you had a parent who was chronically forgetful — leaving you to wait for him or her to pick you up from school or other activities — making you feel as though you didn’t matter or weren’t important. Now when your partner is occasionally forgetful, you feel just like you did growing up when your parent wasn’t there for you. This is an example of a familiar theme. Often, familiar themes are trauma reactions from the past. Trauma reactions are strong, painful feelings in the present that happen as a result of an old wound getting re-stimulated or re-activated. Trauma reactions can cause us to feel very young internally. If you’re wondering whether you’re having a trauma reaction, a good question to ask yourself is: How old am I feeling right now? When you’re in a trauma response/reaction you will feel younger than your chronological age. If you go into a trauma response and you’re not aware of it, your interactions with your partner can be hurtful or even toxic to your relationship, and anyone else you come into contact with while in a trauma response. Review your list of triggers from Step 1, especially those that have ratings of 7 or above. See if there are any familiar themes. The key question to ask is: When I experience this trigger, does it feel familiar to anything I have experienced in prior relationships? Now take some time to write down any familiar themes from your list of triggers in Step 1. Sometimes, people find that when they’ve identified familiar themes, certain triggers seems less intense because of the new awareness of where the particular trigger originated. If you find that your new awareness changes the rating of any of your triggers, make a note of that in your work in Step 2. If you struggle with triggers—and most partners do—I’d love for you to join me for my next Taming Triggers Solution Online Course. Get all the Course details here.